Most of us have been there. Reversing out of a car park or edging into a narrow one. 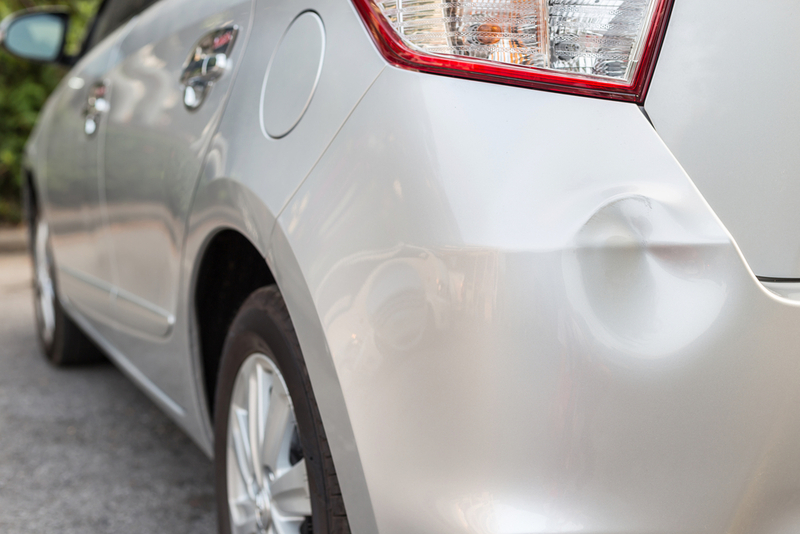 All of a sudden you hear a scrape or a careless driver bumps into the rear end of your car. Maybe someone has just opened their door a bit too vigorously. Either way, you will be left with an unseemly dent on your car bumper that’s in need of repair. One way an auto body shop repairs dents is a method called “Paintless dent repair”. Today we’re going to take a look at this method and explain how it works. Paintless dent repair (PDR) is a method of removing minor dents from the surface of your vehicle. As long as the paint job is intact, the repair can occur. PDR can occur on steel and aluminium panels. When is PDR Most Commonly Used? Paintless Dent Repair is often used to repair door dents, minor creases, larger dents and damage to the body line of prestige vehicles. Panel beaters can also use it to repair damage from hail. PDR it also used to prepare a damaged car panel for repainting, by minimising the use of body filler. Conventional dent repair techniques can often become costly, as well as time-consuming. PDR saves you time and money, making it a great alternative repair option. PDR repairs can take minutes or hours. When you compare this to the days or sometimes weeks that traditional panel beating can take, it’s no wonder that PDR is the best decision for you. Another benefit of PDR is that it is an ecologically sensitive and a viable method of car body repair. No harsh chemical by-products get emitted into our atmosphere. You’ll be doing your bit to support the environment. When looking for paintless dent removal in Melbourne, it’s important to choose an experienced panel beater. While less experienced panel beaters may offer this service, the quality can suffer and leave your car looking sub-par. For the best results, stick with a company that knows exactly what it’s doing. At Montvern Panel Masters, we’re experienced and professional panel beaters. We can perform paintless dent repair and removal on your fleet, luxury or personal vehicle. Please call us on 9874 5899 or feel free to contact us online. We’d love to hear from you.